The kitchen cabinets in your home are sturdy, silent devices that provide a key function for your daily convenience while enhancing the space’s aesthetics and cleanliness. As a renter, you may have paid little mind to these boxes that take up a majority of your kitchen walls. Any minor details were not concerning. As a new homeowner, your cabinets are now a valuable part of your kitchen that can enhance or inhibit the room’s overall beauty and function. Our home remodeling contractors know the true value that services such as cabinet refinishing can bring to any Georgia home. We specialize in cabinet refacing in Atlanta and the surrounding areas, delivering high-quality outcomes that are both cost-effective and eco-friendly. Detail Design & Remodeling is here to serve as your trusted team for amazing home renovations. If you’re on this page because you are trying to figure more out about your kitchen cabinets, read below for a few of our important (and amusing) points. One positive thing about your cabinets is that they are sturdy. Most kitchens rely on expertly installed cabinets that are attached to the studs for rigid support. While overloading those shelves may lead to a failure, in an overwhelming majority of cases, cabinets are able to withstand heavy weights for years to come. Keep in mind that this extra reinforcement is due to the fact that cabinet boxes are heavy. When you add on the doors and hardware, it can be easy to see why support is needed for safety. Keep this in mind any time you decide to work or reface your cabinets. Those with small children should exercise caution as well, as swinging on cabinet boxes can lead to dangerous situations! One thing to consider when you begin any renovations to your cabinets is that they are big. In fact, cabinets take up a majority of the wall space in most homes. This may not surprise you, but be sure to work carefully to balance the look of this large assortment with the rest of your kitchen’s style. Keep the balance of your theme in mind when making design decisions. Otherwise, you may find yourself looking for new wall colors and countertops to match! 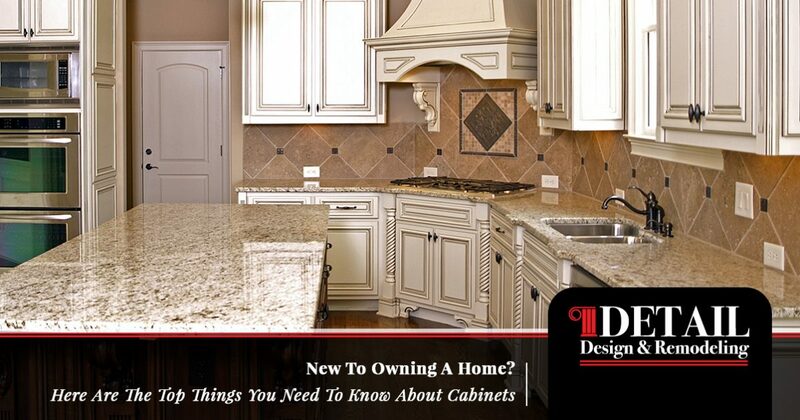 New homeowners will quickly learn that cabinets can be costly. Custom cabinets, especially, rely on personalized specifications to ensure a quality fit for your Georgia home. The labor and material costs all combine with the large quantity of cabinets needed to produce a considerable price tag. As such, it’ll fall on you to take the best care of your cabinets to get the most use out of your investment. Treating your kitchen in a rough manner may soon lead to costly repairs or replacements! Maintenance is essential for keeping your cabinets in prime condition. Simple dusting measures on a regular distance will do much to keep your cabinet fronts looking pristine for years to come, and regular cabinet refinishing can help to keep your surfaces protected from all of life’s messes. If your kitchen is currently looking its actual age, we recommend seeking out professional renovation services. The Detail Design team specializes in creating cost-effective facelifts for cabinets of all types that are in suitable condition. Call us today to learn more! Based on the layout of your cabinets, they can greatly enhance the convenience in your daily life. Cabinets store (and hide) a lot of the clutter associated with any kitchen, including dishes, serving trays, cups, utensils, cooking devices, and more. If you’ve never considered life without your cabinets, now is a good time to stress about it! If your current cabinets are not conducive for daily living, changes can be implemented to provide major improvements. Detail Design & Remodeling specializes in custom cabinet work to deliver the perfect results for your personal needs. Our home remodeling contractors will work with you to create an accurate quote that matches your needs and your budget. New or refinished cabinets can definitely add a boost to your home valuation. Prospective buyers are willing to pay more for luxury, and beautiful cabinets will only serve to enhance the beauty of your home’s interior. The true value of your kitchen cabinets may not be obvious now, but the damage that ugly, grimy cabinets can do on your first impressions can prove to have a negative effect. If you’re planning on selling your Georgia home soon, it pays to hire a professional home renovation company to assist in restoring some value. 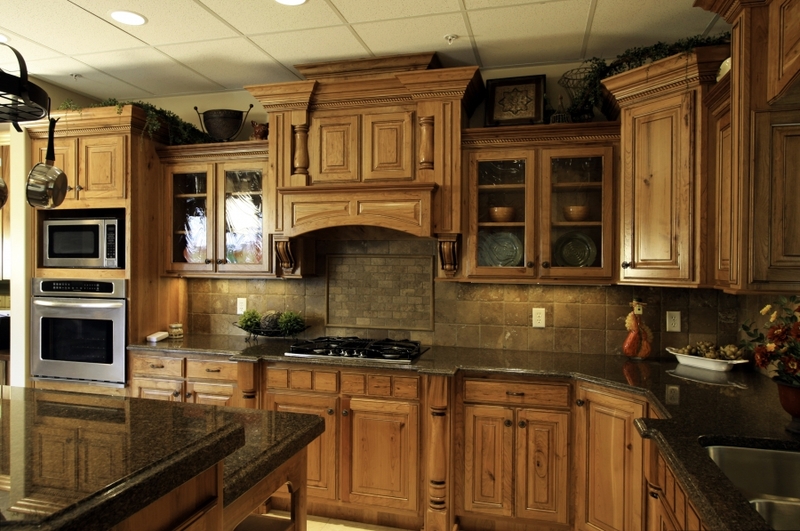 Keep in mind that the aging of your cabinets does not mean that they are doomed to future ugliness. Cabinet resurfacing, which includes cleaning and sanding, is available. This often involves staining and sealing your cabinets for long-lasting beauty that is sure to make a good impression for years to come. As our previous blog posts have pointed out, staining can be a troublesome process for those without the proper experience. Cabinet Refacing Can Also Help! Instead of dealing with the current surfaces on cabinets, you can simply replace them! Kitchen cabinet refacing is a cost-effective option that applies real wood veneers to the fronts of your existing boxes, doors, and drawers. Detail Design & Remodeling is proud to specialize in cabinet refacing for Atlanta homes, delivering old world results that are sure to enhance your space. If your current cabinets are looking worse for the wear, be sure to reach out to our team for assistance. Detail Design & Remodeling is here to serve as your trusted home remodeling contractors for all of your kitchen renovation needs. Contact us today to learn more!